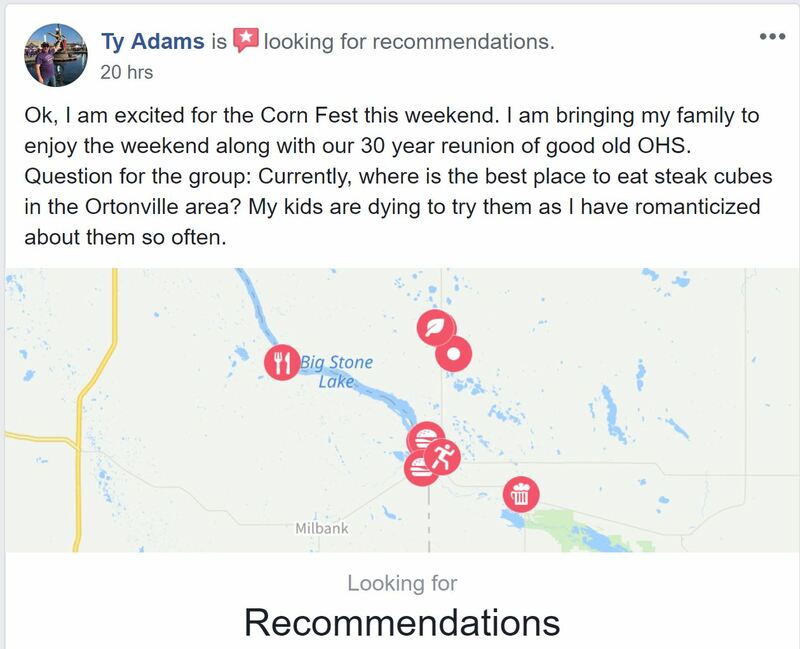 As Mary Hillman, the Big Stone Lake Area Chamber Director, spends late nights at the office and her days running around coordinating Ortonville’s largest annual event — with the City Crew busy “dusting up” the town — and countless volunteers have organized groups to assist with the celebration, it is absolutely heartwarming to see this post (pictured below) on a private Group “You know you were raised in Ortonville MN if you remember…” After first letting it sink in how excited Ty Adams is to be returning to Ortonville with his family for a 30th School reunion and Cornfest – then seeing that he received 10 recommendations from 24 people with an exchange of conversations within 66 comments — and of course noticing that we have some really highly recommended dining options, I thought… this is really what life is all about! Living Rural and Loving it, here on the MNbump! What were the recommendations? …here they are in no particular order.